At VONT, we like to say that in the digital world, the only constant is change, and nowhere is that more evident than in SEO. SEO has existed for as long as there have been search engines, and for most of that time, SEO meant focusing on keywords. But times have changed – yet again – and keyword ranking is no longer a primary performance metric. Here’s why. Google has evolved over the years as it continually searches for ways to provide users with better results to their queries. In the beginning, a query was taken at face value – on its explicit meaning, i.e. what is typed is exactly what is needed. Over time, however, Google has been able to pick up on more of the implicit meaning of a search – on what is not written, but what is meant. For example, suppose a user searches on: “Restaurants Portland Maine.” Several years ago, Google might have returned results that included articles in the media about the rise in the number of restaurants in Portland or reviews on Maine restaurants – especially if those articles contained the keywords “Restaurants Portland Maine”. Today, however, the same query will result in very different results – a list of restaurants open at that particular moment including a map of each location. We have Google’s ability to understand the implicit meaning of the query to thank for that. Because of Google’s advances in artificial intelligence and natural language processing, the query is no longer the only information available to Google. Google now tries to read the true intent of the user rather than simply matching the keywords the user typed in. What device you are using, where you are using it, and the time you are using it, all play a role in what your search engine results page (SERP) will look like. But that’s not all. Google also uses personalization in choosing which results are displayed. A user’s search history now plays a role in what is shown on SERPs leading to more personalized results. Personalization means that if you were to search for “Northeast colleges”, and you had previously visited the Boston University site, Google might tailor your SERP to list BU at the top. If another searcher had visited Connecticut’s Trinity College website before searching on “Northeast colleges”, then their SERP may list Trinity at the top. That’s all to say that it will become increasingly more difficult to determine which website actually ranks #1. A restaurant located ten miles away from a user may have a higher ranking if all other considerations were removed, but it will still be listed further down the SERP than a restaurant located 500 feet away from a user. 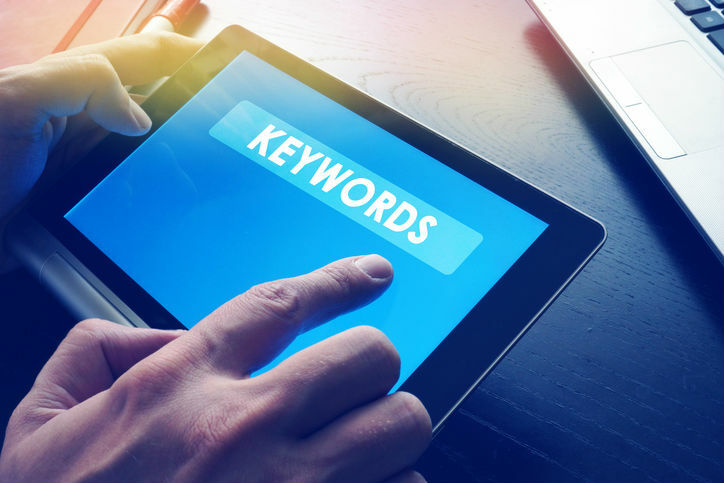 If not keywords for SEO, then what? Enter topic modeling. The good news is that you do not need to focus on a specific keyword to appear higher up on a Google SERP. What you should focus on instead is “content topic” or “topic modeling”. Topic modeling is how Google tries to derive “topics” from a web page in order to determine how relevant it is to a search query. Topic modeling uses natural language processing and statistical analysis to find topic patterns within a webpage and assign a score to it. Webpages that receive a high score based on topic-associated content are more likely to appear in search results than those that do not. For example, for a search on “George Washington”, webpages that receive a 75% score of topics related to George Washington will appear before webpages that receive a score of 45%. You can use topic modeling to your advantage by creating an in-depth content page around a single subject theme (medium tail keyword target). Doing so will increase website visibility in Google, thereby driving qualified web traffic to the site and its corresponding web pages. Since Google looks at semantic variations, you can have a diverse set of related keyword phrases that Google correlates as part of the medium tail keyword target/topic. Less emphasis on specific organic keyword search rankings, since traffic is generated to the site from a wider net of tightly aligned keywords. The ability to capture incremental high value traffic through other longer tail keyword searches because these terms are correlated to the page topic based on semantic variations and meaning. Owners no longer have to create individual pages around a set of longer tail keyword variations in order to rank. Targeting a specific keyword set is no longer enough (or particularly meaningful) to focus on. It is now possible to rank for a diverse set of keyword phrases so long as the keyword variations are semantically related to the content topic. This means you can focus on publishing thorough and authoritative content on topics relevant to your audience and stop worrying about keyword rankings.